Stunning Victoria home with contemporary designer decor! 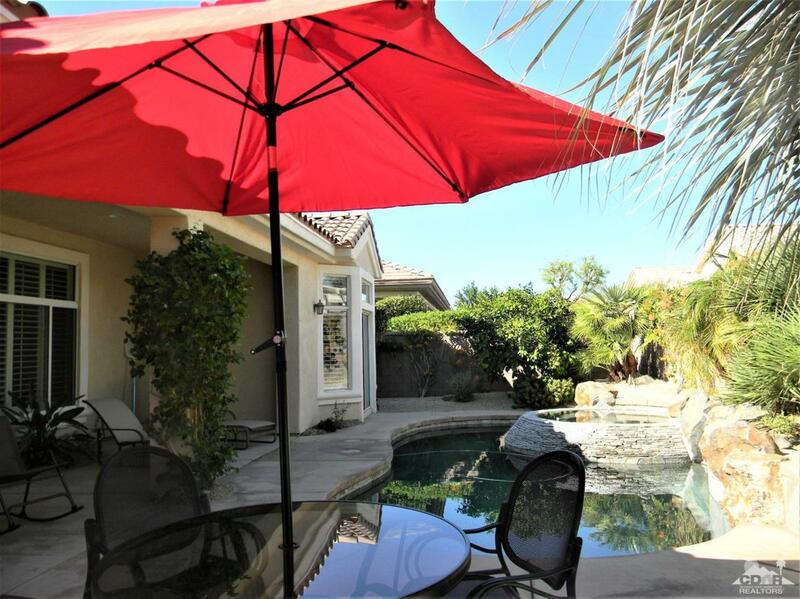 Fabulous pebble pool & spa, massive patio with built-in bbq center! Grand foyer entrance to expansive great room with fireplace, custom cabinets, large dining area, conversation & media area! Elegant contemporary furnishings! The chef's island kitchen has upscale cabinets, granite counters, stainless steel appliances! Breakfast bar and adjacent breakfast nook table! The master suite has a bay window sitting area with sliders to the patio pool & spa! Sumptuous master bath with garden tub, large shower, walk-in closet, double vanities & block glass accents! Second master/guest room has a built-in office center & private bath! The den/office has custom doors for privacy! Convenient powder room! Utility room! Fresh new interior paint & new furnishings, ceiling fans, chandeliers, new bedroom carpets!Plantation shutters. Golf cart to use in Sun City while you enjoy this luxurious home! Cross Street Address Between Quintet & Lyrical Ln.